Angels really do exist on earth... Evil better start running! What can be better than angels? 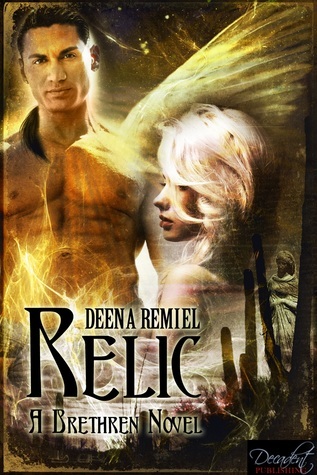 Deena Remiel is here today to share HER angels with us today. 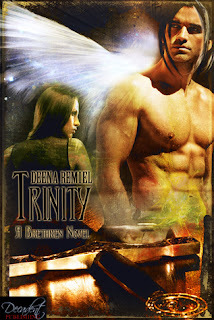 She is also giving away a signed paperback copy of the first book in the series - Trinity! So take a moment to meet Michael, Raphael & the rest of the gang. 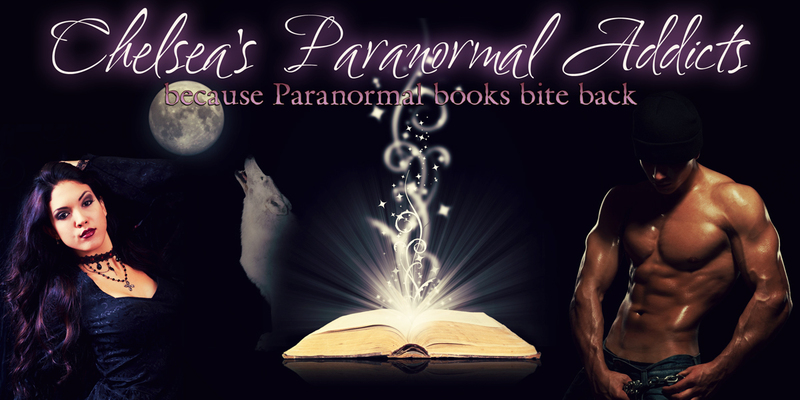 **This is an anthology of three short urban fantasy stories that were originally part of an online serial. It is meant to be a companion to the Brethren series, and not necessarily a stand alone, but can be read as such. It brings us closer to three of the nine Brethren, Gabriel, Nathanael, and Cassiel- who they are and what they do. There are more stories to come. There is no romance here, but plenty of hot-blooded angel! Would love to win ...best wishes to you Deena!! I will be honest I haven't read any of your books...How is this series different from others like it out there? Thanks for your time!!! Congrats Deena on your new release!! Question for Raphael and Serena, thou I havent read your story, do you believe in love at first sight?? SERENA: I do believe in love at first sight, but there must be more to back it up. I good heart, a good soul, and a belief that love is eternal. RAPHAEL: Are you quoting me, Serena, sweetheart? You're gonna make me blush! Ha ha! this series sounds amazing and I look forward to reading it. How much research do you do when you write a book? It depends on the story. I've been able to do a decent amount of groundwork that you'll never see in the book per se, on angels in general. I did this to determine who and what I wanted my angels to be. Then, I research my settings. Luckily, my books are set in Arizona where I live, so I can go to particular places for whatever questions I have. For stories I've written outside this series, I use the internet extensively. Thanks for the question! Will do you another story for Hannah? I was wondering what piqued your interest in angels? Did you have any real life close encounters or is it just your favorite pararnormal? Why did you choose angels to write about? Deena do you have a picture in your mind of how your novels will flow, do you plot it all out on 1000 post it notes, make a book of the details of the books? Do you have trouble making the characters as you see them in your head? Or does that come easy for you? I added your books to my TBR pile. I make detailed character bios and then sketch out my story in either a couple of paragraphs or bullet-style. So I know where I'm starting and where I'm ending. I have some key points that I know I want to include in the middle. But other than that, I write organically. That means I listen to the characters, I listen to the story that's unfolded to this point and it comes together to lead me through it all. Creating my characters is one of the first things I do and the most important. I do a lot of visualizing of the physical nature of my peeps, and then I stare off into nothing a lot as I conjure up personalities and back stories to substantiate why they are the way they are. I also determine at that time how they will change over the course of the story, a dark moment from their past that will shape decisions in the present,and so on. Deena I have a question!! hehe! As far as your detailed character bios/back stories go... do you have a list of questions somewhere that you use? I'm trying my hand at writing and I'd love some questions to ask my characters but I didn't want to do a random one online because then I might have 1 billion questions LOL! ;) Do you have a list you might share with me for character/backstory questions? :) If not, a place to send me that you know of that has good ones? :) I'm just unsure where to start being so new and all *hugs* thanks for visiting us on the blog Deena... we love you! Hot, superhero angels--win, win and win. :) Sounds like an amazing series. I can't wait to read it. 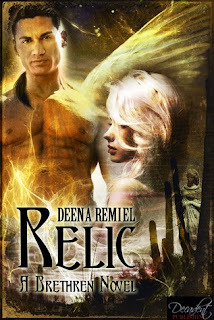 I am so looking forward to starting your books Deena! And it was great to meet you at Az. Dreamin' this year, can't wait for next year! Looking forward to reading your books!! Have had some friends recommend them! !